Ladies, shorts season is upon us! It’s time to ditch the jeans and set our legs free. But not all shorts are created equal, and for some of us, finding flattering shorts is one tall order. We know there is a pair out there for you. 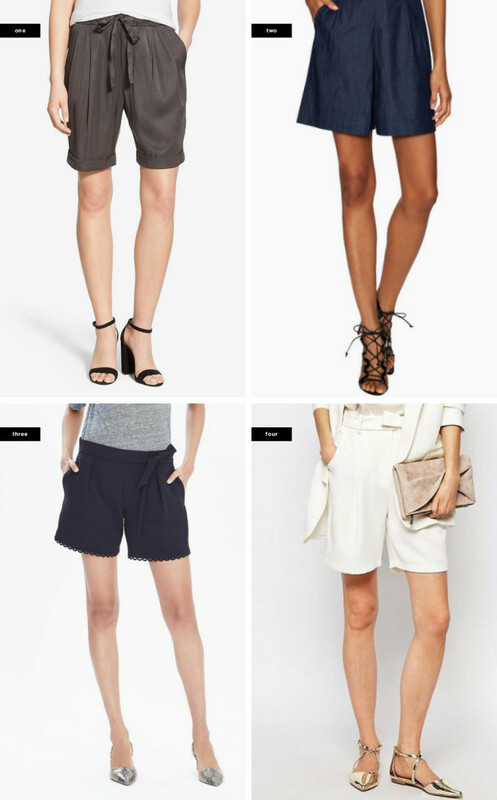 And to help you on your search, we’ve rounded up a variety of stylish shorts that flatter each body type. A rectangle body shape is often described as “athletic” or “straight up and down,” meaning not curvy like the pear or hourglass shape. This makes short shopping easier for you because you’re not trying to find shorts that work with your curves. Luckily for you, Bermuda shorts were pretty much made for your body type because they are designed and cut to be straight up and down. 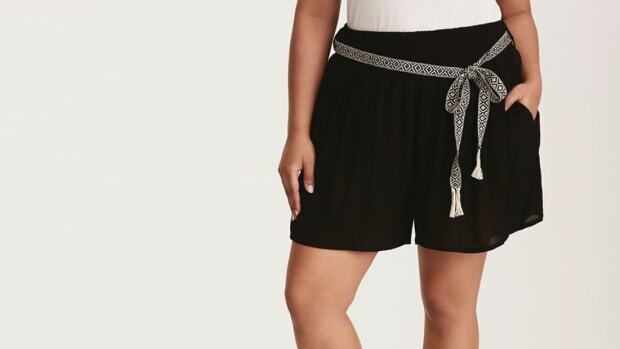 Because your hips and waist are more straight across, avoid high-waisted shorts with a contoured waistband that will pinch into your skin and create bagginess on the sides of your shorts and bunching in the front. If you’re a pear shape, you know that shopping for summer shorts can be a frustrating experience. The pear shape’s hips and thighs are the widest parts of their body. Working with those curves is the key to flattering them. 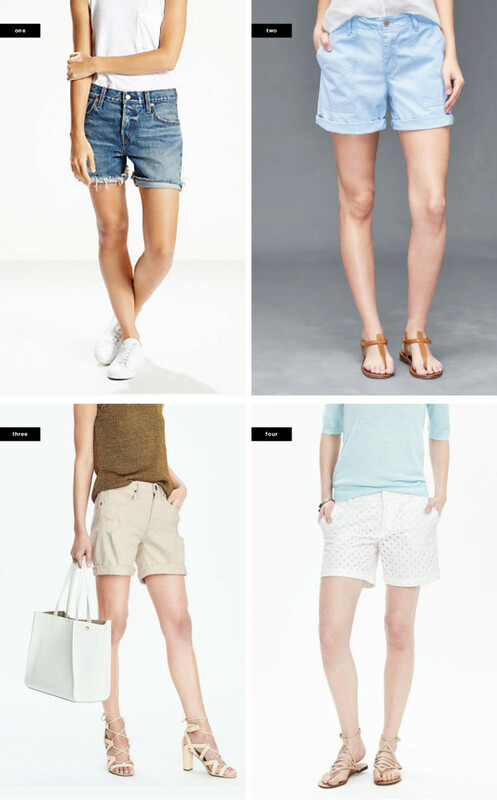 Your inclination may be to go for extra coverage by choosing Bermuda shorts, but this often results in a boxy look. The key is to employ the same concept behind wearing a high-waisted midi skirt—which every pear shape I’ve met loves. Why? 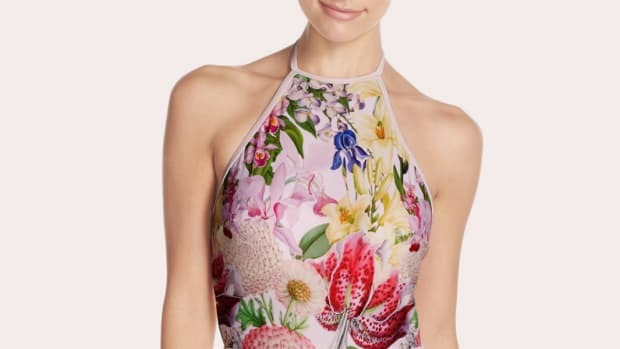 Because it highlights their small waist and creates an hourglass silhouette. 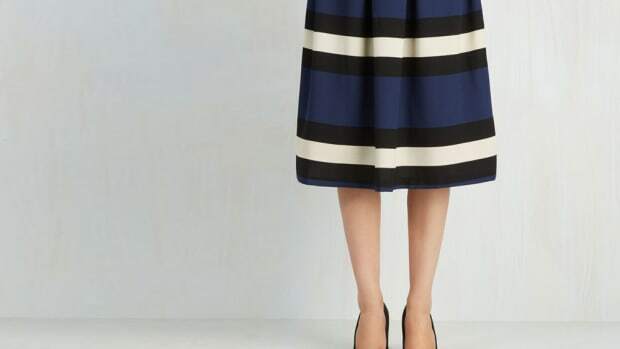 So when choosing a short to flatter your pear shape, pick a soft short that mimics the silhouette of a midi skirt. This means a high rise, some slight tailoring for a bit of structure (no baggy pajama shorts here), and a wider pant with ample leg room. The higher waist will highlight the smallest part of your body, while the looser leg will drape flatteringly over your hips and thighs. If you have a heart-shape body, you carry more weight in your torso and arms, while your hips and thighs are narrower. The most flattering shorts for a heart-shape body is about the illusion of having more volume on the bottom in order to create balance. A pair of boyfriend shorts that are slouchier in fit look fantastic on you because the looser legs create more volume on your lower half. A mid rise also works well for your wider waist—a high rise will often pinch, and a low rise will sag. 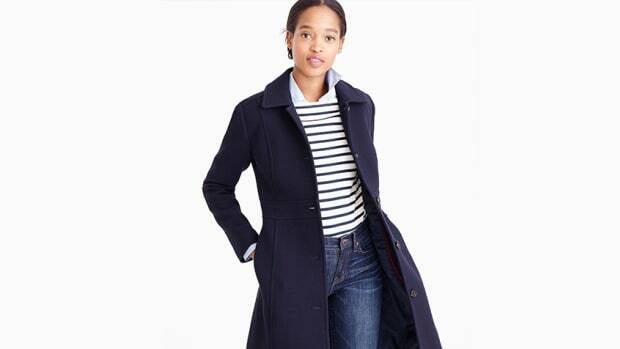 The mid rise will also provide tummy coverage and elongate your legs. 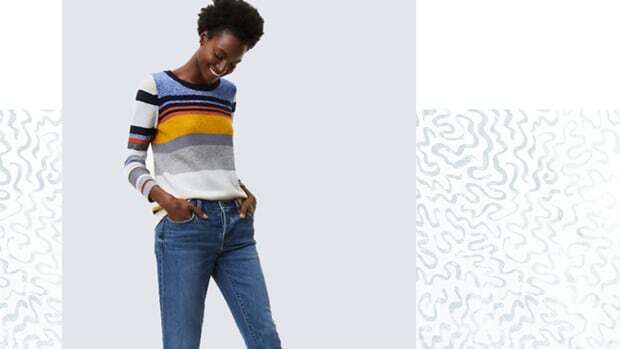 Stick to inseams around five inches, and avoid super-long lengths because the slouchy fit could start to look overwhelming rather than balanced. An hourglass body shape is proportionate but can still be tricky with shorts because you have curves. 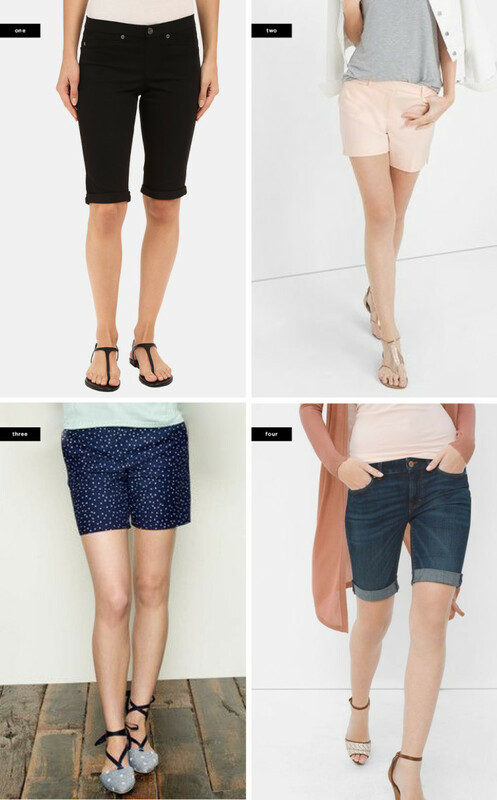 The goal is to find shorts that mimic the curves of your hips, thighs, and rear end so that you don’t have any bagging or bunching from shorts that are cut on a straight line. Stick to more form-fitting and contoured shorts, and look for fabrics with a little stretch, which will work with your lovely curves rather than restricting them. Look for shorts that are mid or high rise with a contoured waistband—this means they have been cut and sewn on a curve and will follow your body naturally. In terms of the legs, narrower cuts tend to be more flattering.